At electricians Dublin 7 we have a group of R.E.C.I. accredited, fully qualified electricians providing a full range of electrical services of the highest standards throughout the county. 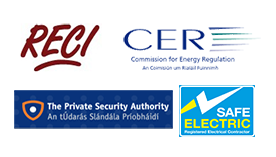 Our parent company Dublin electricians has been trading successfully for over 25 years now we have become one of the largest domestic and commercial electrical companies in the county supplying services for social housing, the four courts and a large insurance company to name but a few clients. At Dublin 7 electricians we believe the secret to our success is down to 4 main reasons. Firstly our high standards, we take a large amount of pride in all the work we undertake irrelevant of if they are large or small. We believe if a job is done it should be done well, this is why we provide our standard "electricians Dublin 7" 1 year parts and labor warranty on all completed work. Secondly our prices, we provide premium quality at affordable rates. We quote up front on all work without hidden fees or extras, we also advertise all prices on our website unlike other companies. With your local D7 electricians you always know where you stand. Thirdly our reliability, when you arrange for a tradesman to turn up you want them there. When you set a completion time you want the job finished, this is what we do. Finally our customer service which is second to none, with our Dublin 7 electricians nothing is ever too much trouble and all work is carried out with courtesy and respect. Our team is on call 24/7-365 for any electrical emergencies you may be unlucky enough to have. If you need someone fast, call 01-6874854 any time of the day or night and you will get through to a senior member of the team. 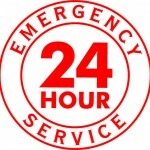 We guarantee a response time of 1 hour (traffic) permitting throughout Dublin for all electrical emergencies. Our Dublin 7 electricians service the following areas. Smithfield, Stoneybatter, Arbour Hill, Broadstone, Cabra and Phibsboro. For emergencies, professional advice on any electrical project or a free quote just call your local electricians in Dublin 7 on 01-6874854.